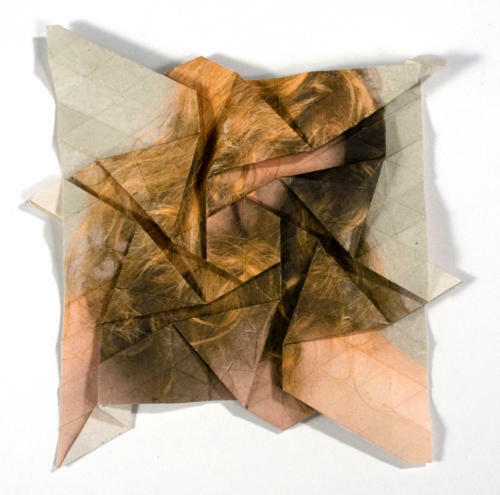 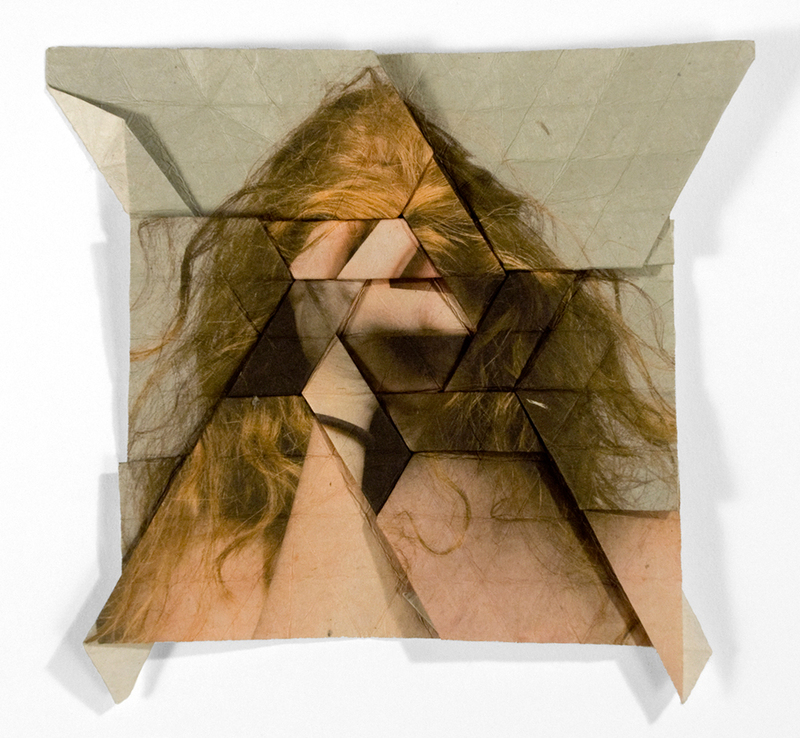 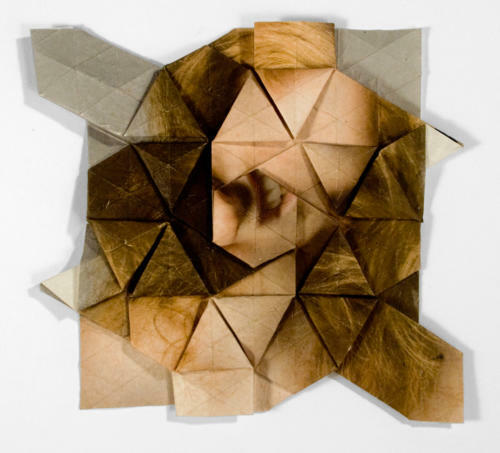 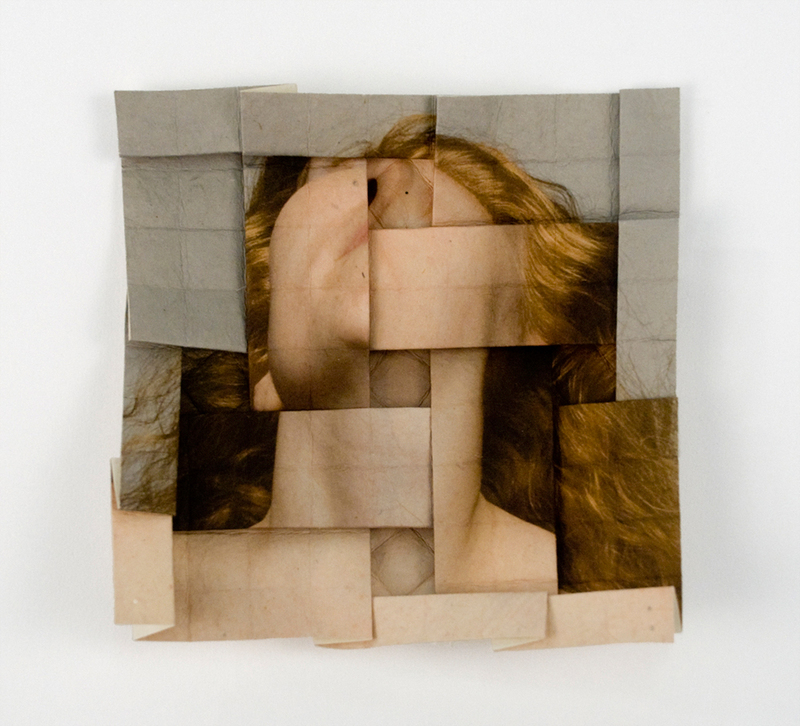 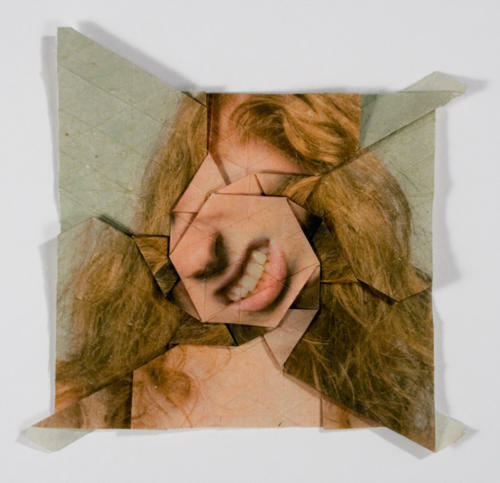 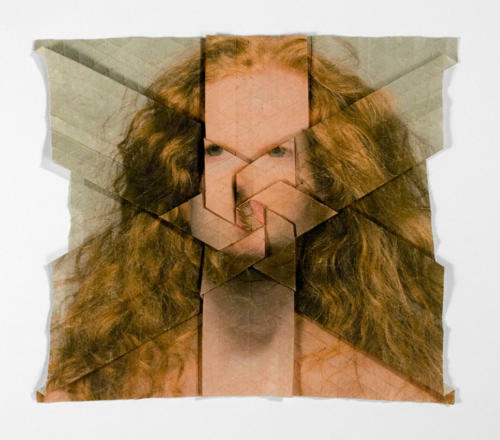 In the series Self-Portrait Origami Tessellations, I use a mixture of self-portraiture and origami tessellations to formally express the conflict between my outward persona and my internal emotions. 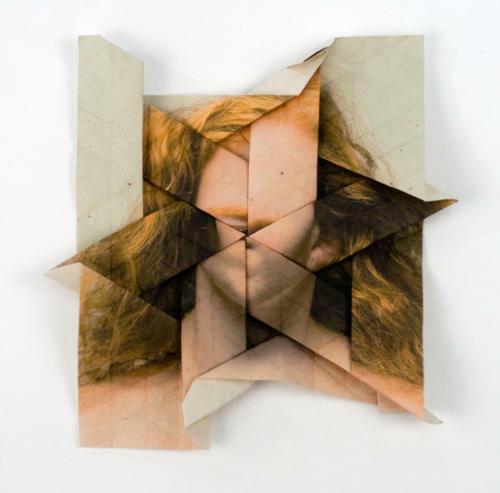 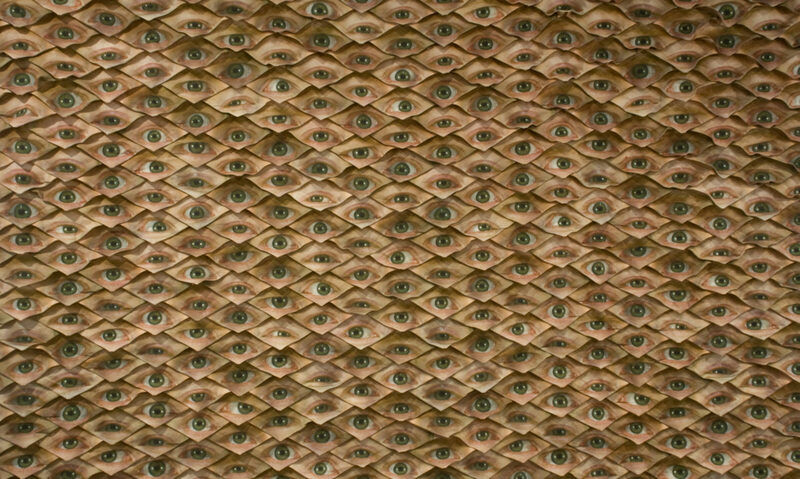 Each piece looks organized and intentional on the surface, however the faces printed on the paper are fragmented and rendered unrecognizable through the methodical folding of each intimate object. Starting with self-portraits depicting various states of emotional distress, each image is then meticulously folded into a tessellation. 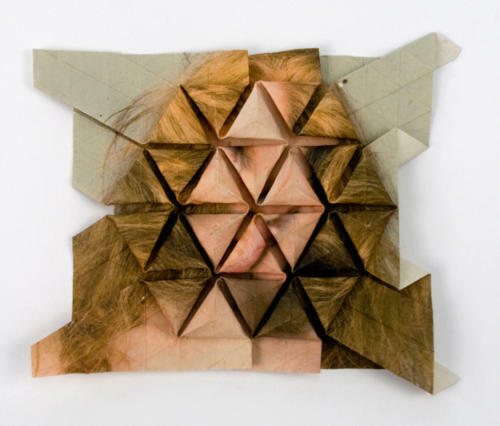 Origami tessellations are often recognized as calming and meditative. The act of folding the images of my incensed faces into beautiful paper objects is representative of how I suppress these undesirable emotions behind a persona that is confident and competent.